India is the fastest growing major economy in the world. This momentum needs to be sustained for the next thirty years. Fortunately, a solid foundation is now in place. No country has prospered without the leadership of private enterprise; few have prospered without a political leadership that delivers key public goods. Most importantly, many countries have faltered at the altar of crony capitalism, or stagnated under the spectre of a corrupt and listless political leadership. In Modi And Markets: Arguments for Transformation, Dhiraj Nayyar presents strong arguments for change: what it took; what was achieved; and what needs to be done to keep India’s economy on track. 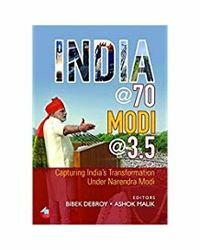 In the first section, titled ‘Modi’, the book delves into reasons for Narendra Modi’s inevitable rise from chief minister of Gujarat to prime minister of India. It also focuses on some of the boldest steps taken by the Modi government – demonetisation and GST, amongst others – which have altered the economic landscape of India after years of irresoluteness on the part of India’s political leadership. In the next section, titled ‘Markets’, Dhiraj Nayyar highlights the importance of free markets in India’s future; what the markets have already delivered, and what they can deliver when unleashed. 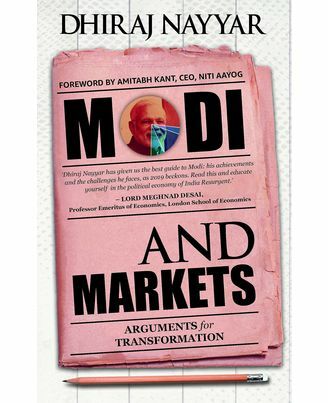 Modi And Markets is an incisive account of how smart economics must combine with clever politics to transform India. Dhiraj Nayyar is Officer on Special Duty (OSD) and Head, Economics, Finance and Commerce, NITI Aayog. He is responsible for all policy matters related to the Departments of Economic Affairs, Revenue, Financial Services, Investment & Public Asset Management, and Commerce. Dhiraj trained as an economist at St. Stephen’s College, Delhi; Merton College; Oxford and Trinity College, Cambridge. After teaching Development Economics at the University of Cambridge, Dhiraj switched to journalism. He was Opinion Editor of The Financial Express, Deputy Editor of India Today, Editor-at-large at Firstpost.com, India Columnist for Bloomberg View, and Managing Editor of The Quint. In 2013, Dhiraj Nayyar was awarded a Bastiat Prize for journalism by the California-based, Reason Foundation. Dhiraj Nayyar lives in Delhi with his wife, Divya and Dali, their dog. He tweets @nayyardhiraj. India is the fastest growing major economy in the world. This momentum needs to be sustained for the next thirty years. Fortunately, a solid foundation is now in place. No country has prospered without the leadership of private enterprise; few have prospered without a political leadership that delivers key public goods. Most importantly, many countries have faltered at the altar of crony capitalism, or stagnated under the spectre of a corrupt and listless political leadership. In Modi And Markets: Arguments for Transformation, Dhiraj Nayyar presents strong arguments for change: what it took; what was achieved; and what needs to be done to keep India’s economy on track. 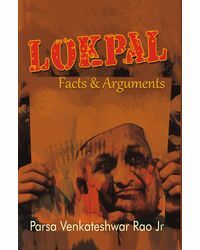 In the first section, titled ‘Modi’, the book delves into reasons for Narendra Modi’s inevitable rise from chief minister of Gujarat to prime minister of India. It also focuses on some of the boldest steps taken by the Modi government – demonetisation and GST, amongst others – which have altered the economic landscape of India after years of irresoluteness on the part of India’s political leadership. In the next section, titled ‘Markets’, Dhiraj Nayyar highlights the importance of free markets in India’s future; what the markets have already delivered, and what they can deliver when unleashed. 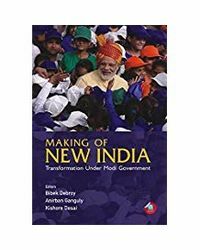 Modi And Markets is an incisive account of how smart economics must combine with clever politics to transform India.About the Author : Dhiraj Nayyar is Officer on Special Duty (OSD) and Head, Economics, Finance and Commerce, NITI Aayog. He is responsible for all policy matters related to the Departments of Economic Affairs, Revenue, Financial Services, Investment & Public Asset Management, and Commerce. Dhiraj trained as an economist at St. Stephen’s College, Delhi; Merton College; Oxford and Trinity College, Cambridge. After teaching Development Economics at the University of Cambridge, Dhiraj switched to journalism. He was Opinion Editor of The Financial Express, Deputy Editor of India Today, Editor-at-large at Firstpost.com, India Columnist for Bloomberg View, and Managing Editor of The Quint. In 2013, Dhiraj Nayyar was awarded a Bastiat Prize for journalism by the California-based, Reason Foundation. Dhiraj Nayyar lives in Delhi with his wife, Divya and Dali, their dog. He tweets @nayyardhiraj.